We have an election this November. It will not be good enough to vote for just any old candidate who rocks an R on their jersey. Be discerning! Look beyond the party labels rhetoric and carefully examine their past. And if you are not firmly convinced that they will move the ball in the direction of liberty, don’t vote for them!!! Please don’t feel sorry for me, but Obamacare has wrecked my business. Not entirely, mind you. I am still licensed to sell medical insurance, and I will keep that license and service my current clients.However, there is very little financial incentive for me to actively solicit new business in 2014. I am on to better things, though. I have come across two very exciting opportunities elsewhere in the insurance industry and am actively pursuing them. (I wish I had found them sooner.) I can provide pretty much any form of insurance except disability and bail bonds. It is so easy to sit on Facebook or to loll around in your Ambitious Man recliner and moan and groan about how horrible Obamacare is. And it is truly horrible. I have nothing good to say about it. However, it is another thing to acknowledge where the true responsibility lies. For over 100 years, we in America have tolerated ever-increasing encroachments on our medical liberty. In the early 1900s, it was perfectly legal for a 10-year-old to walk into a corner drug store, plop down cash and buy heroin. And we had almost no “drug problem”. Why? Because the responsibility for raising children still lay with the families, churches, etc. Gradually, however, that responsibility shifted to Washington. The left and right share the blame equally. The left loved socialism and the right – at least until Obama came along – sure loved the police state. We did not go to bed one night with a free market in healthcare and wake up the next morning with Obamacare. When GWB left office probably two-thirds of the health market was already under government control through Medicare and Medicaid. In 2003, GWB and a Republican House and Senate passed Medicare Part D, which was a massive expansion of the federal role in health care. And rank-and-file Republicans rewarded this by sending them all back to Washington in 2004! Leftists are at least honest about their love for big government. They like high taxes, welfare, gun control, health mandates, a state education monopoly, etc. And they vote for people like the Clintons, Obama, etc. Right-wingers talk like libertarians and then vote for people like the Bushes, McCain, Romney, etc. When these people are in office, right-wingers go into total denial. I, too, was a Religious Right whack job until late 1991. And I, too, was in total denial about the Republican Party. The more tyranny you tolerate, the more tyranny you will get. Obamacare represents a culmination of numerous trends that the right has tolerated for years. They thought it was no big deal when W outspent Kommunist Klinton by $1 trillion per year and added $5 trillion to the debt. They had no problem with undeclared war, spying, torture, DHS, TSA, guilt without trial, rogue police and the world’s highest incarceration rate when W had the keys. They didn’t object when the Patriot Act was rammed through Congress in 20 minutes without anyone reading it. How many realized that when you let people you like bypass the Constitution for reasons you like , you set a very dangerous precedent? Other people you don’t like with agendas you don’t like will take this as a license to likewise ignore the Constitution. They didn’t care that the Patriot Act violated financial and personal privacy. 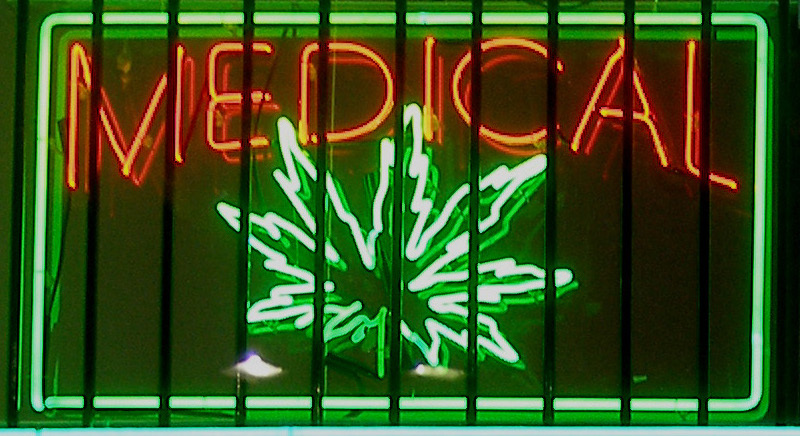 Many on the right vehemently opposed medical marijuana. If you would forbid sick people from healing themselves with a plant that is way more benign than most prescription drugs, you already believe that Uncle Sam should nanomanage health decisions. Lew Rockwell once wrote that “American conservatism … hates the left more than the state.” In every election 98-plus percent of voters opt to continue the status quo. Republicans talk like Patrick Henry when they are out of office and then govern like Maxine Waters when they are elected to office. They have almost never done anything to limit the size, cost and intrusiveness of government. And they always leave the government bigger and uglier than they found it. For as long as I have been following politics – since 1980 – rank-and-file conservatives have been more than happy to make excuses for the people they put in office. And then they are oh so outraged with what leftists do when elected. (We sure hear a lot of libertarian talk right now that we never heard during the W years, and would never have heard had McCain or Romney been elected.) They believe everything Republicans say and ignore everything they do. Again, I was once a textbook example of what I am talking about. As long as the faction that purports to defend liberty insists on falling into the “anybody but ______” or “any Republican is better than any Democrat” or “lesser of two evils” trap, we will continue to get more and more tyranny on every front. Remember: every dollar Obama has spent since January 3, 2011 has been spent with the blessing of a Republican controlled House. When a Democrat promises something for nothing, he is lying. When a Republican promises to restore your liberty, there is about a 98 percent chance that he is lying. My guess is that, had McCain been elected in 2008, he would have given us a 1200-page health care “reform” bill and that Limbaugh, Hannity, etc. would have pimped it as a “common sense” measure. Millions on the right would have made pathetic excuses for it. In 2012, millions of conservatives voted for Mitt Romney, thinking that the guy who brought the health mandate to Massachusetts was actually going to repeal it at the federal level. 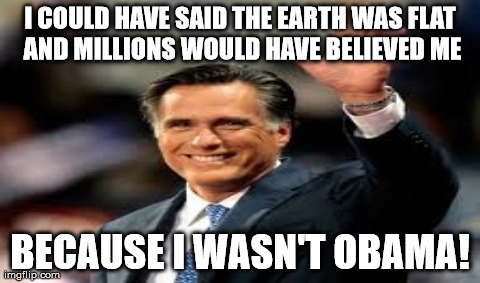 They are just as gullible as the millions who thought Obama was going to give them something for free. All I can say is that America has far bigger problems than Obama. Just because Democrats are socialists doesn’t mean Republicans promote free markets; just because Democrats lie doesn’t mean Republicans tell the truth. Many on the right now want to sell us on the idea that an Article V constitutional convention is the answer to a rogue government. What makes them think that the feds would obey an amended Constitution when they have so recklessly disregarded the current Constitution for decades? (And, don’t fall for a Balanced Budget Amendment either.) And while I think there are a few flaws in the Constitution, these flaws are not the biggest threat to our liberty. The true problem is the willingness of we the people to make endless excuses for tyrannical government. Conservatives, who claim to be pure constitutionalists, are more than happy to disregard the Constitution when (a) Republicans are in office or (b) Uncle Sam is “going after” somebody else. We have an election this November. It will not be good enough to vote for just any old candidate who rocks an R on their jersey. Be discerning! 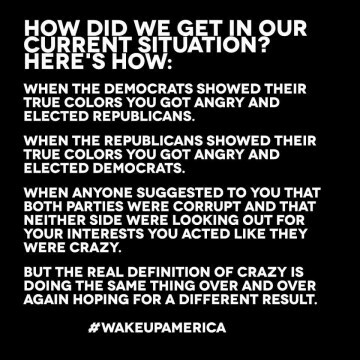 Look beyond the party labels rhetoric and carefully examine their past. 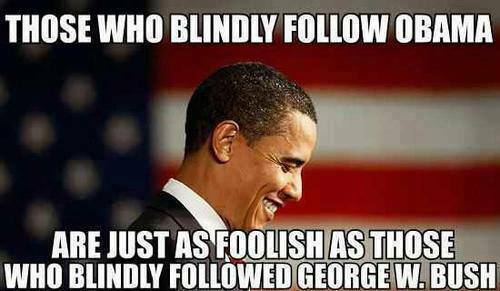 And if you are not firmly convinced that they will move the ball in the direction of liberty, don’t vote for them!!! NEVER trust someone to change for the better after they assume office! I don’t care if they are running for president or for dog catcher. It is no sin to leave spots on your ballot blank, or to abstain from voting altogether. Don’t believe something just because someone you like says it. Subject every candidate for every office, regardless of party, to the same level of scrutiny to which you subject Obama. The presidential picture is hopeless. This makes it all the more important that you pay attention to who is running locally. Do you know who your congressman is? How about your state representatives, city council members, county commissioners and sheriff and mayor? There are several hundred thousand elected officials in America. If people concentrated more energy locally, there may well be more pushback in the direction of liberty. Ask anyone running for office if they know that meaning of the word “nullify.” Learn your rights as a juror as well as when you come in contact with the police and exercise them! 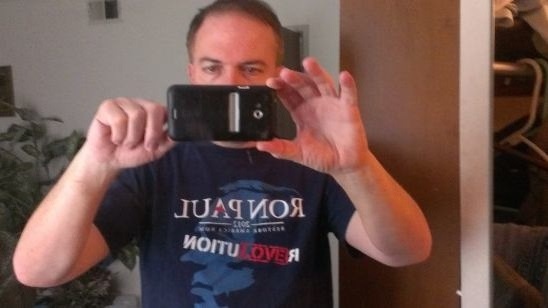 Have a serious look at people who were inspired by Ron Paul. Have a serious look at Libertarian and Constitution Party candidates, many of whom have stellar backgrounds of supporting the principles of liberty. In late 1991, I realized that Republicans were lying to me just as much as Democrats. And even though I had no one around me at the time to help me, I knew I needed to start rattling cages. In early 1992, I walked off the two-party plantation and, ever since, have been on a crusade to bring as many people as possible with me. Since I have been “wasting my vote”, just look what has happened to the size of the FEDGOV, regardless of which party has been in charge. We live in a nation of 320 million people with perhaps as many as 500,000 elected officials. In every election, 98 percent of the people vote to have themselves raped on taxes and incarcerated at a rate higher than any other nation on earth. Merely replacing one person in one office will not change anything. 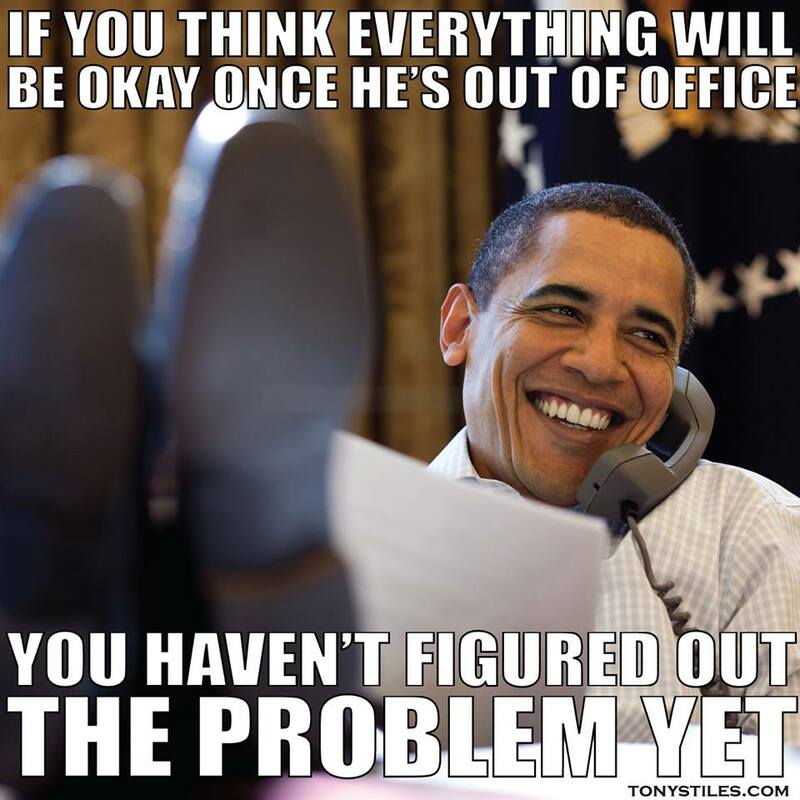 While Obama is a problem, he is not THE problem. He is more a symptom than anything else. The real problem is not in the White House, or in the houses of Congress, or in the courthouses or in the statehouses. Rather, it is in your house and my house. Look in the mirror, America. That is where the problem lies. And that is also where the solution lies.